"Our two-year-old granddaughter loved the barn and animals and even became an honorary dutch dancer!" Farming and animals are a part of our Dutch heritage. 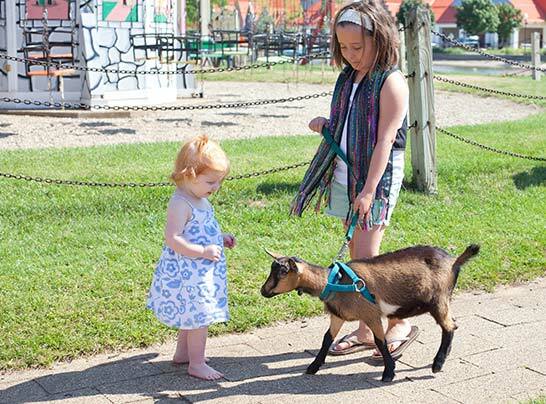 At Dutch Village's de Kinderboerderij, you can enjoy spending some personal time with some of your favorite farm animals. The zoo has many activities for you to try. 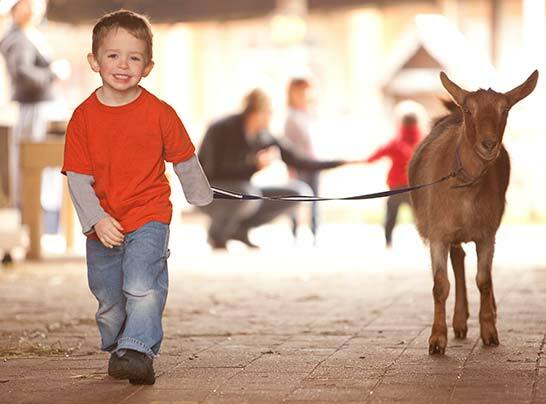 Our goats love to move around the Village and you or your children can take one for a short walk (or be walked by one). Who doesn't love a soft, furry bunny? 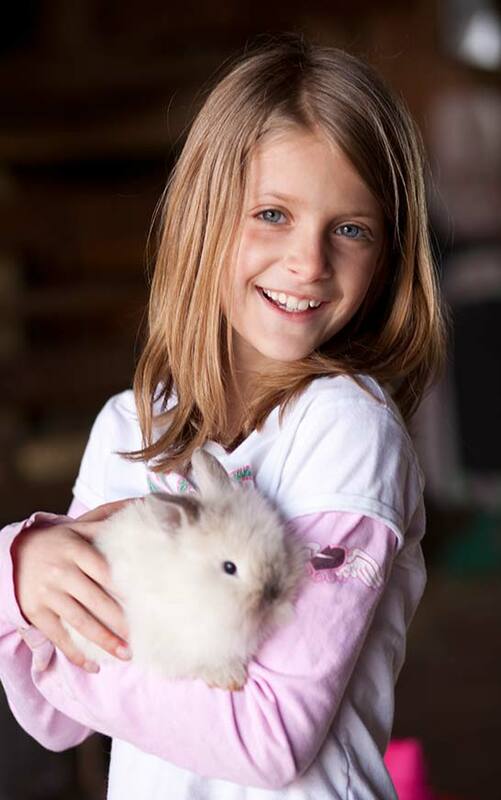 At Dutch Village, you can spend some time with one of our many rabbits. Throughout the day, you can help us feed our famous goats to keep them from eating the tulips! 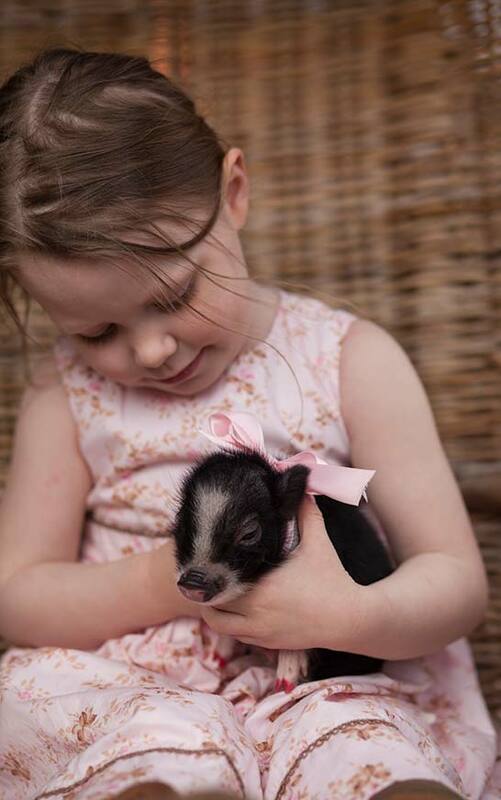 Learn about some of the most important farm animals in the United States and see them up close and personal. At Dutch Village's de Kinderboerderij, our sheep are available to take a stroll out to the meadow too. Pint size, but full of spirit, Princess is a hit for children who visit the zoo. 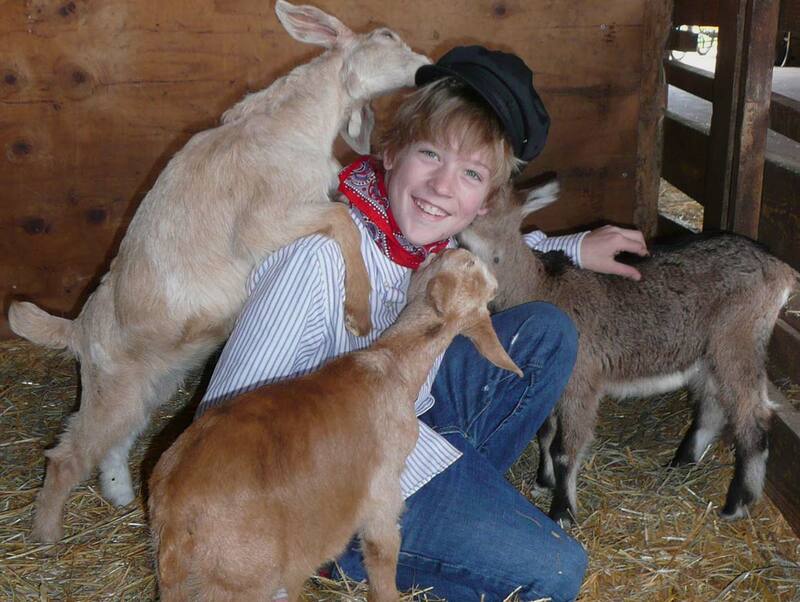 Please know that we operate our petting zoo with respect to the health and care of our animals. 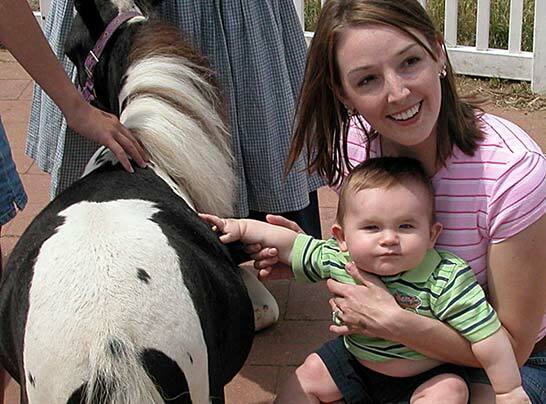 There are no additional charges for the activities in the petting zoo unless you choose to feed an animal. Animals may not always be available for walking or feeding based on their needs. Is Dutch Village pet friendly? Yes, well-behaved dogs are permitted inside Dutch Village, but we ask that you keep them on a leash and clean up after them. They are not permitted in the cafe, food shops or near the petting zoo. Please remember that goats may be walking within the park. Is there parking on site for RV's/campers at Dutch Village? We have plenty of parking and easy in/out access. We do not allow overnight parking at the park. Do you have camping on site at Dutch Village? No, we do not have any camp sites on our property, but several are close by. Click the button below to go to area campgrounds we recommend.